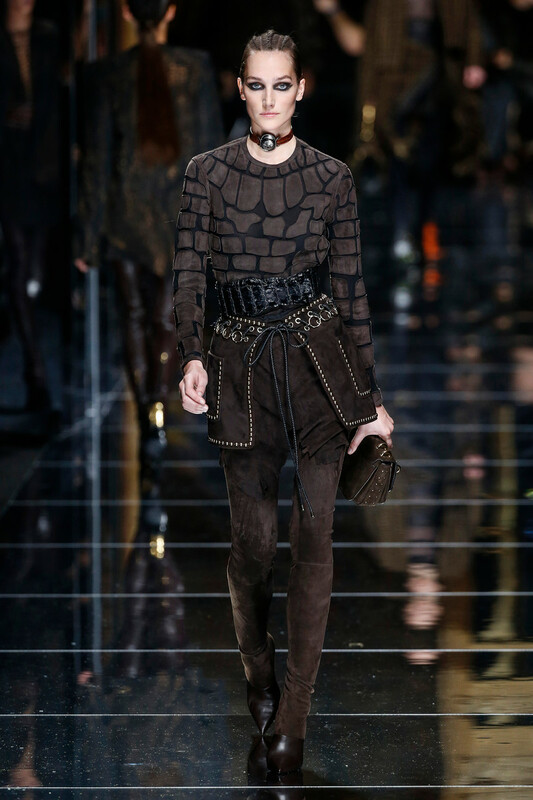 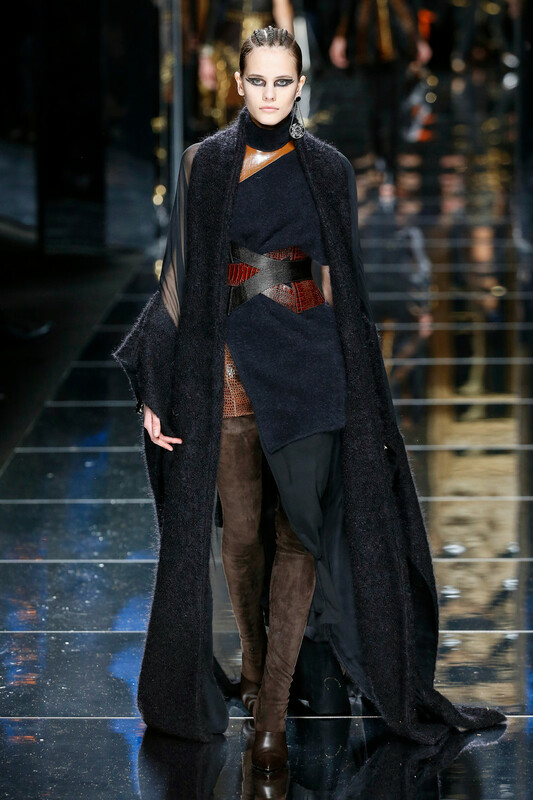 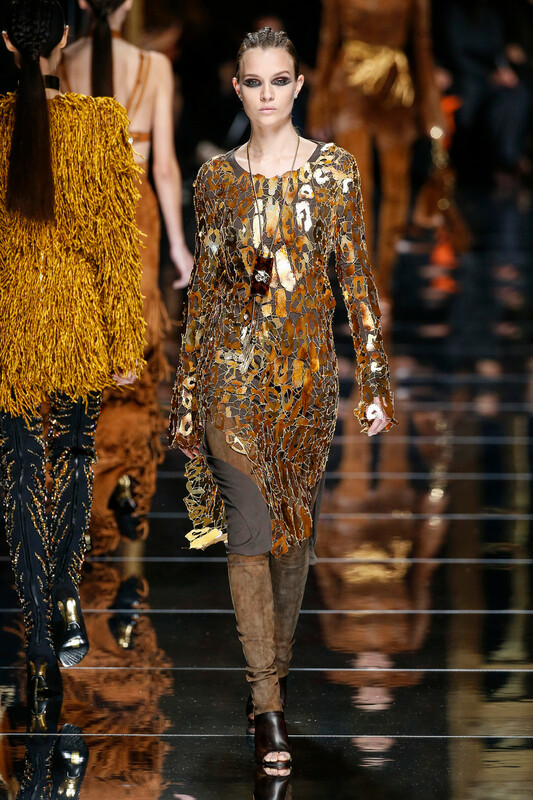 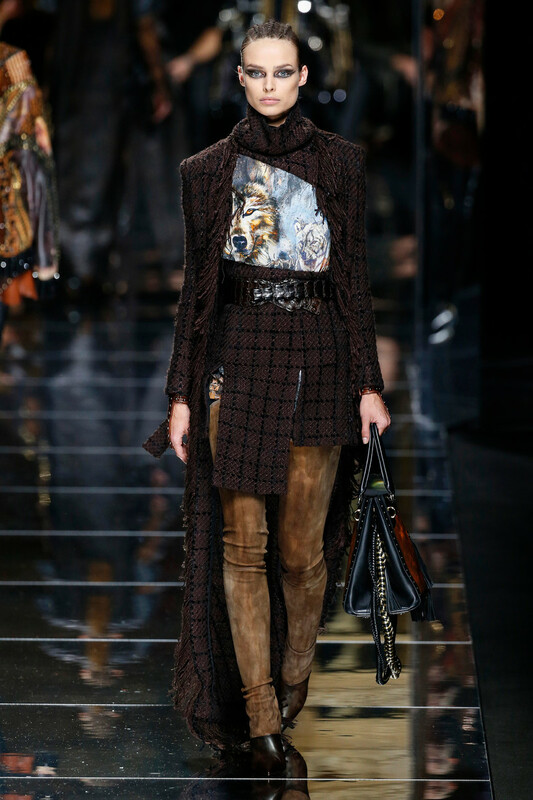 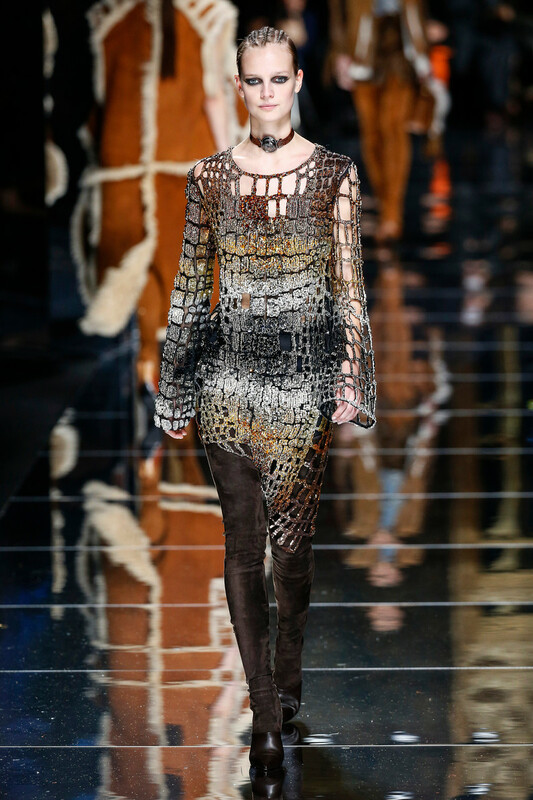 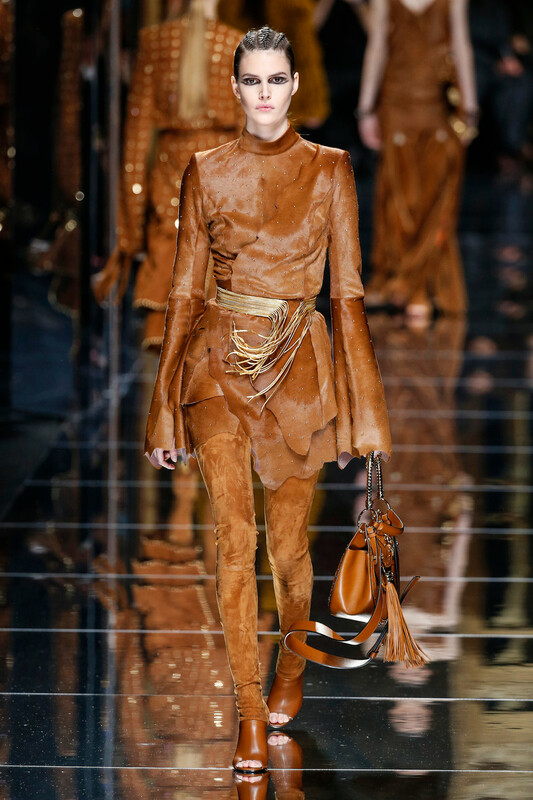 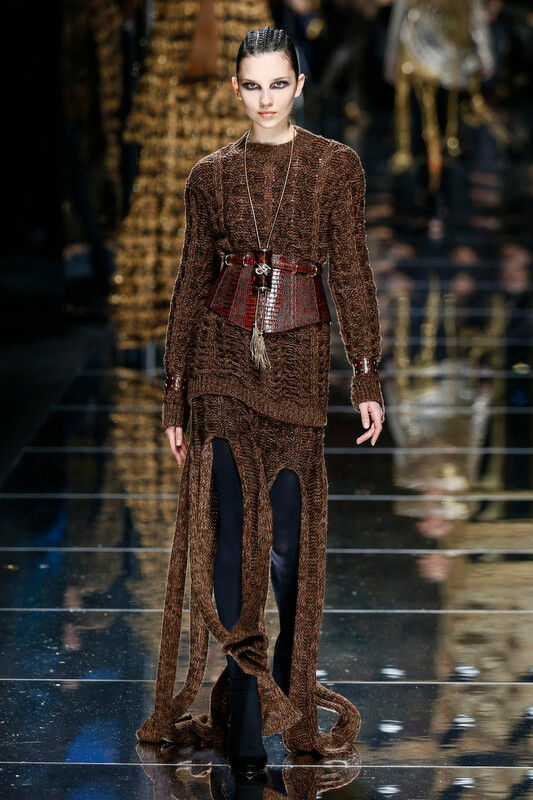 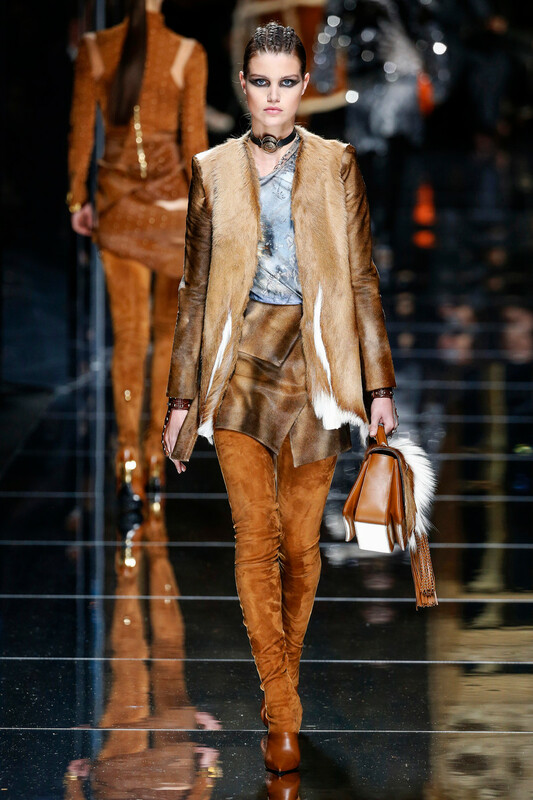 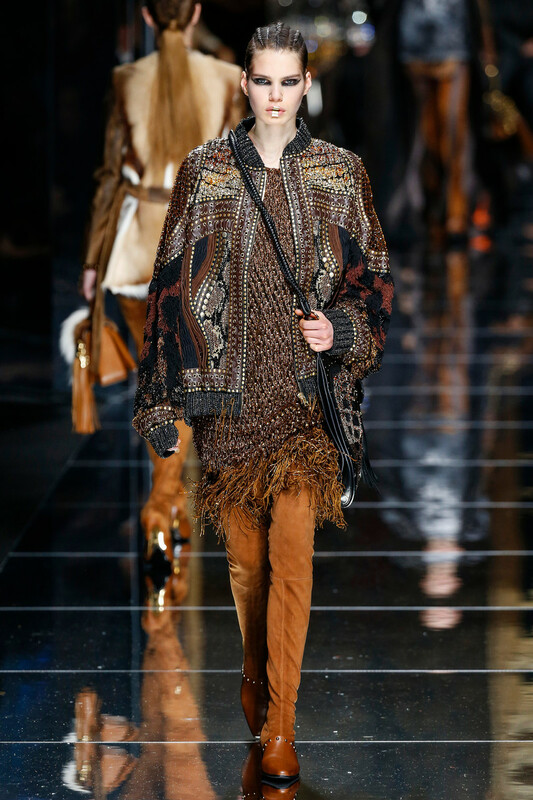 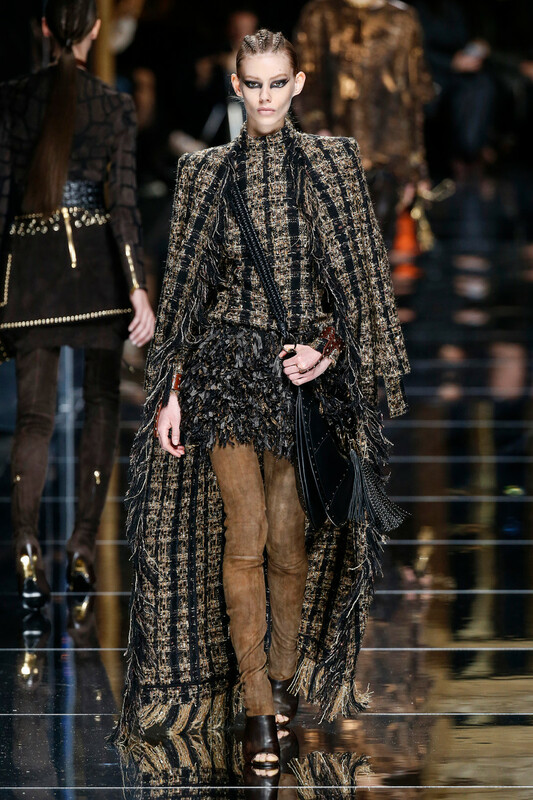 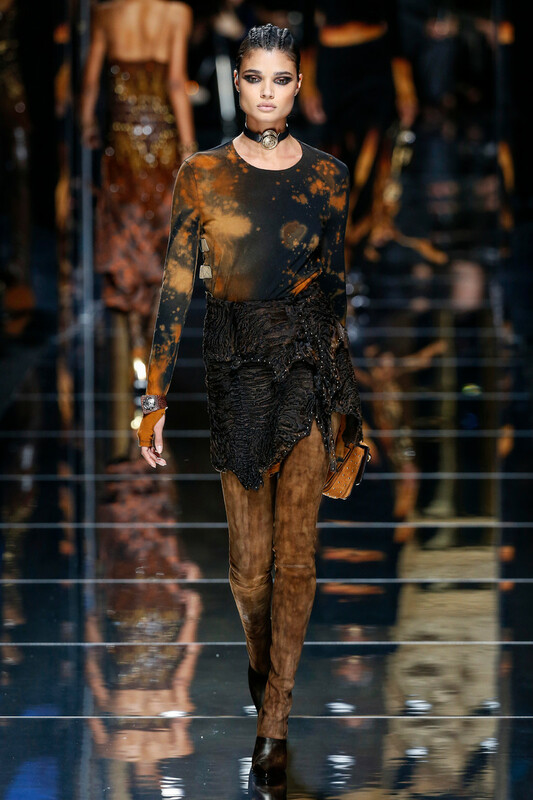 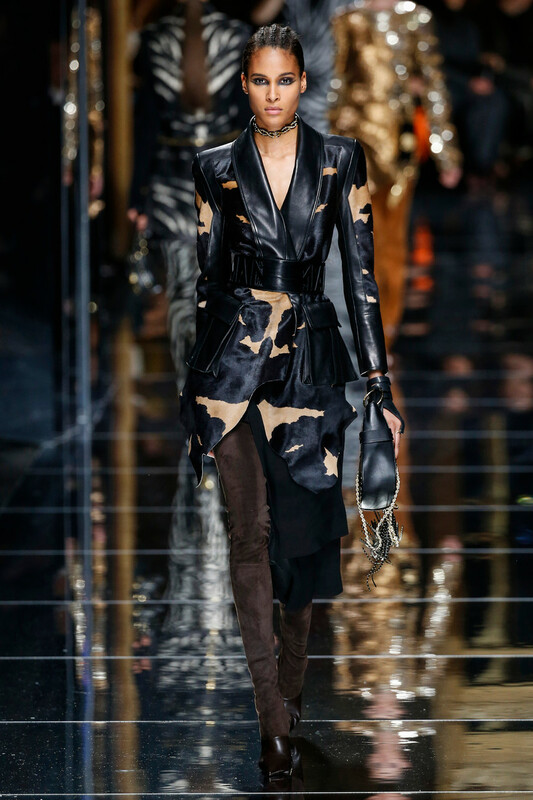 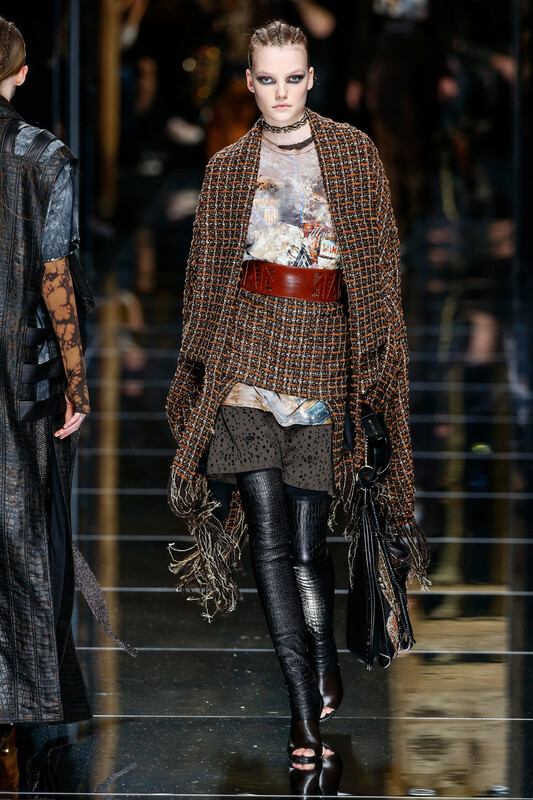 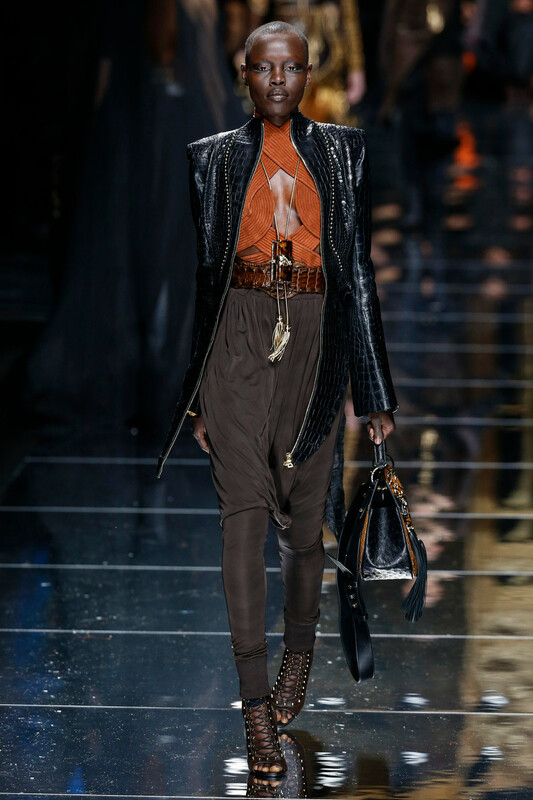 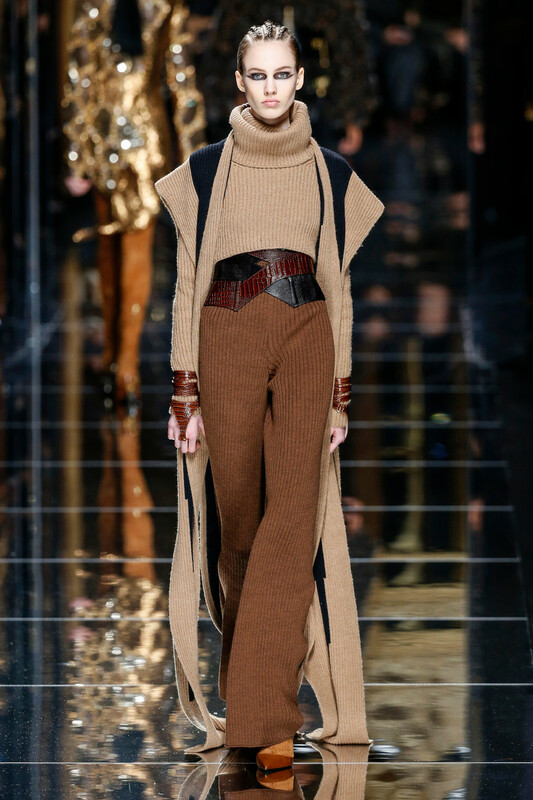 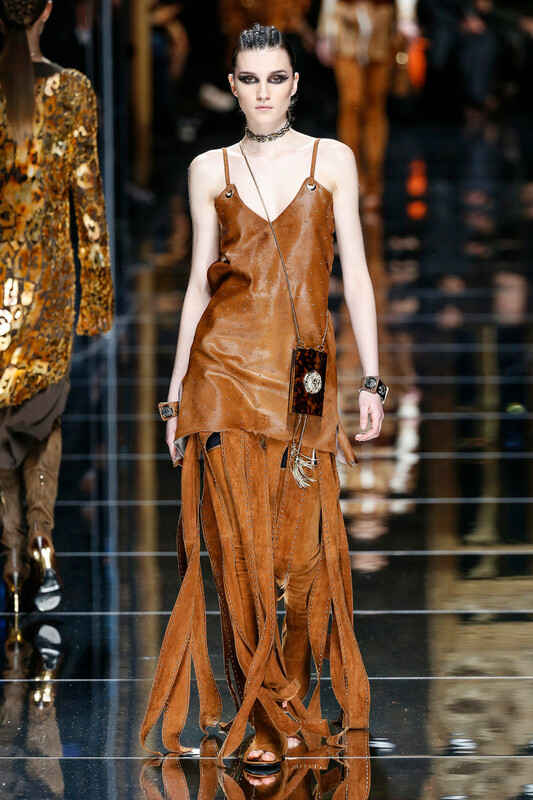 Next fall the glamazons of Balmain will be dressed in raw pelts with a stitched-together feel. 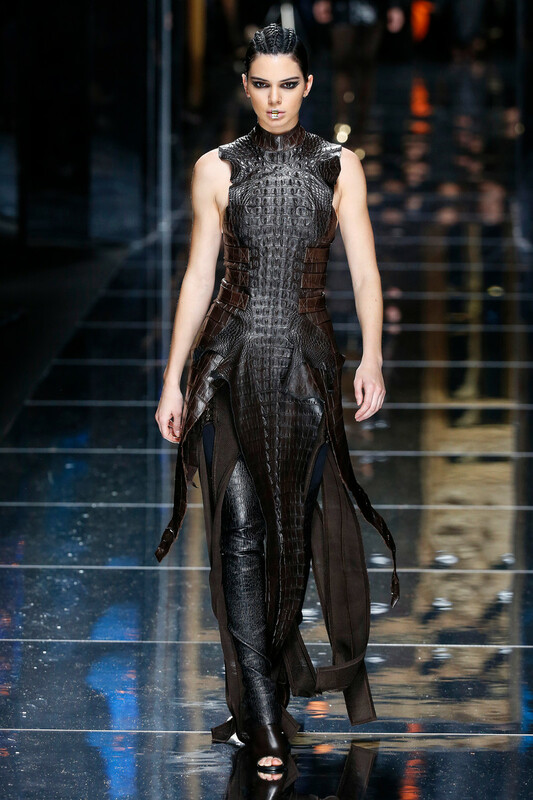 One of the models looked particularly fierce in a black dress assembled from crocodile skins, a tribal-looking metallic lip ring tracing a gleaming line across her mouth. 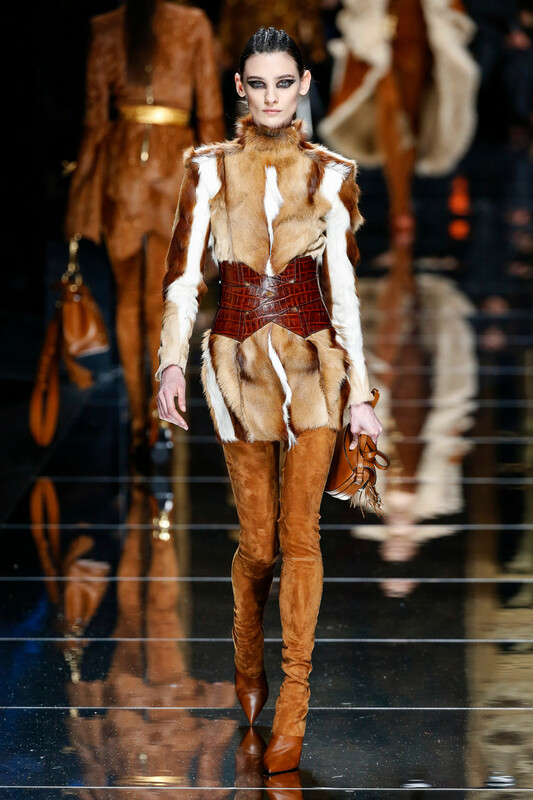 Other options included a shearling sleeveless coat, or a tunic top pieced together from panels of glossy ponyskin. 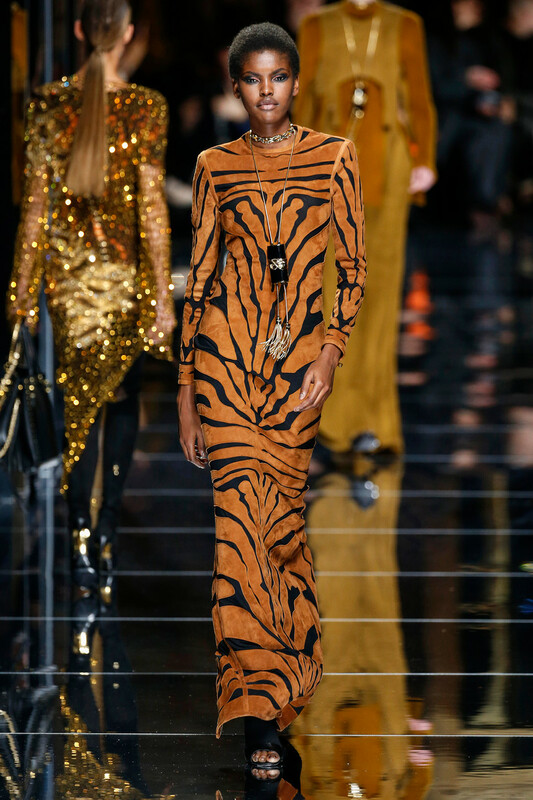 “It’s all about a return to the forces of nature. 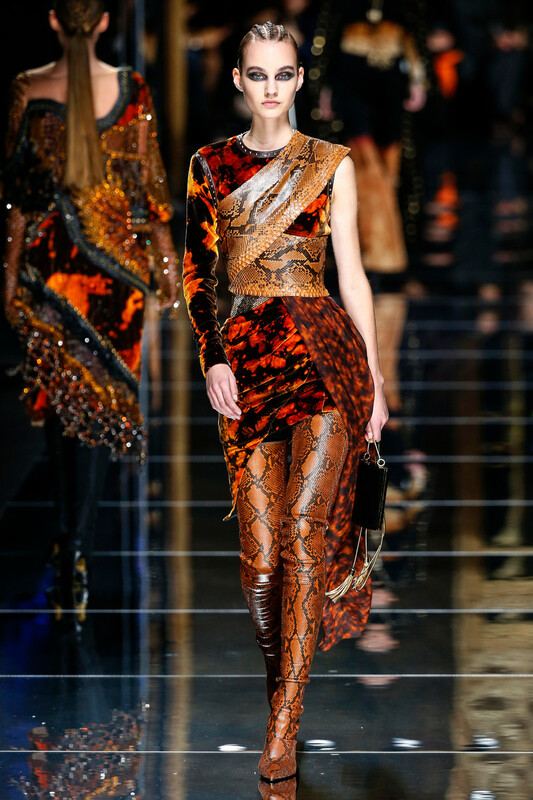 I wanted to create strong Amazons. 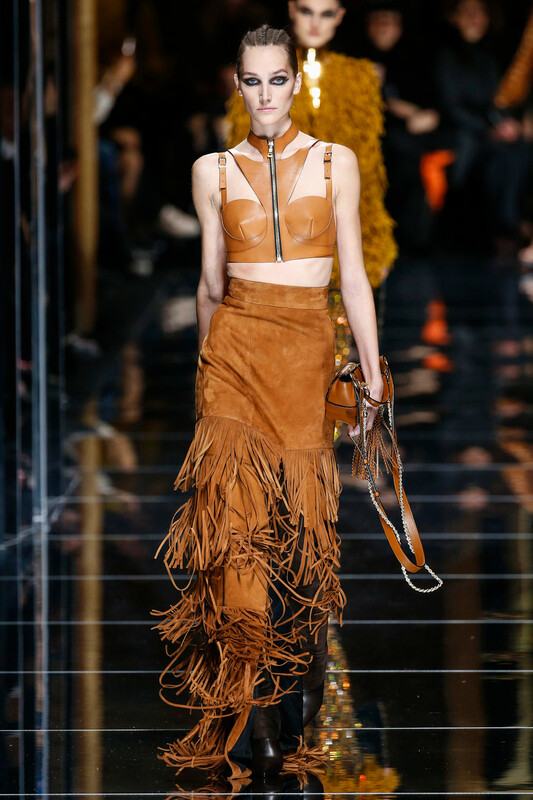 Women’s power today is extremely important, and I think I reflect that with this collection. 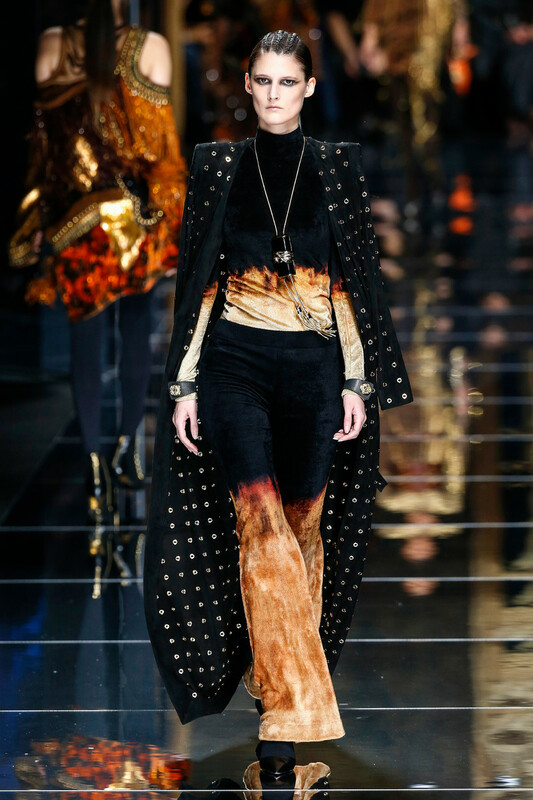 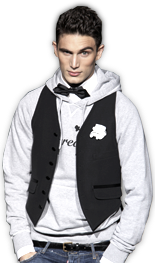 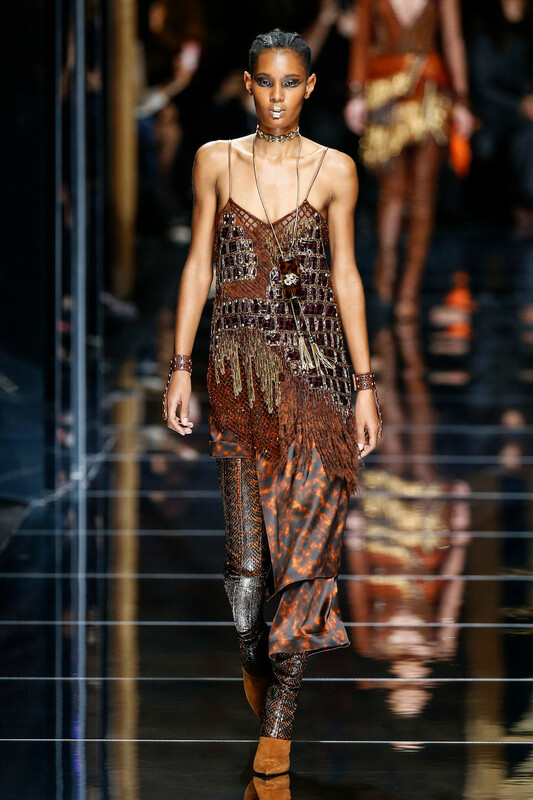 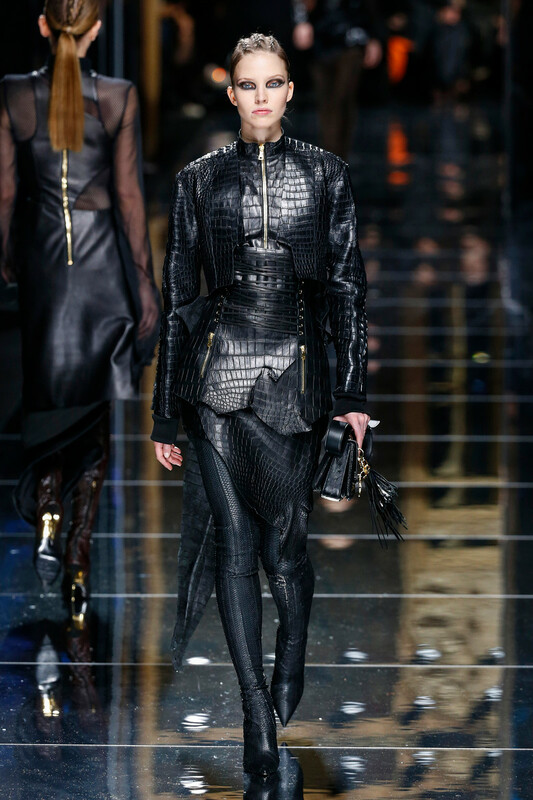 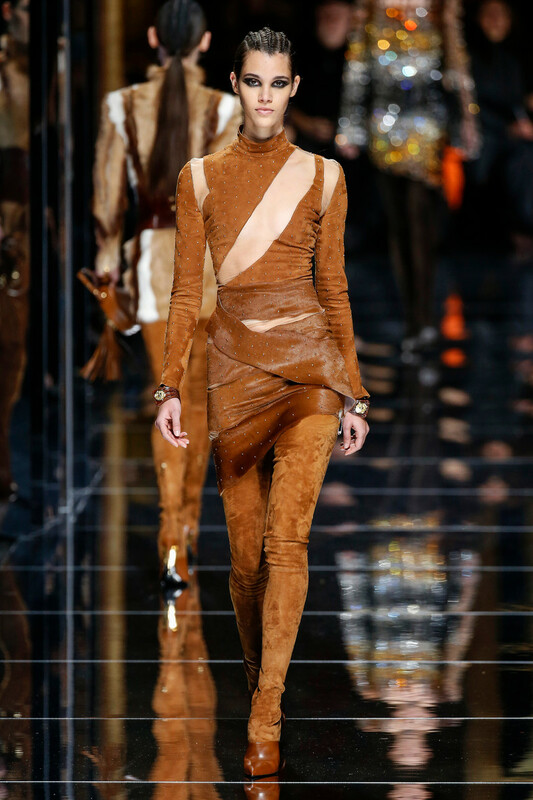 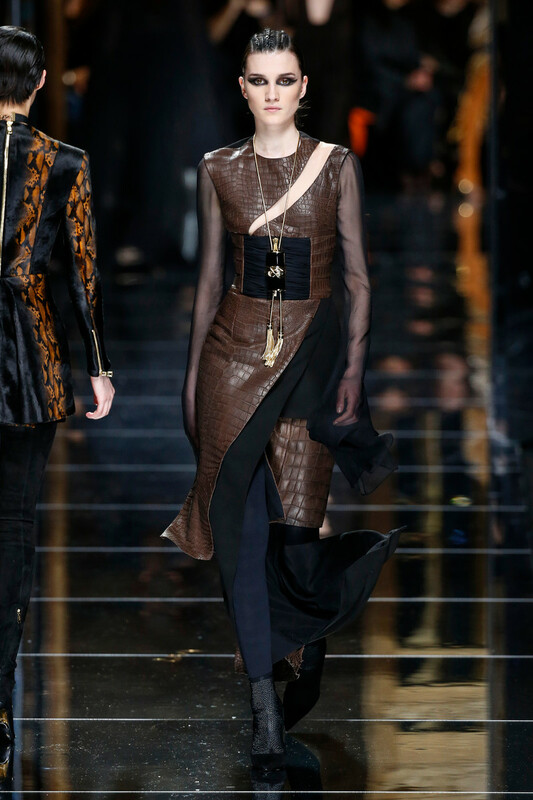 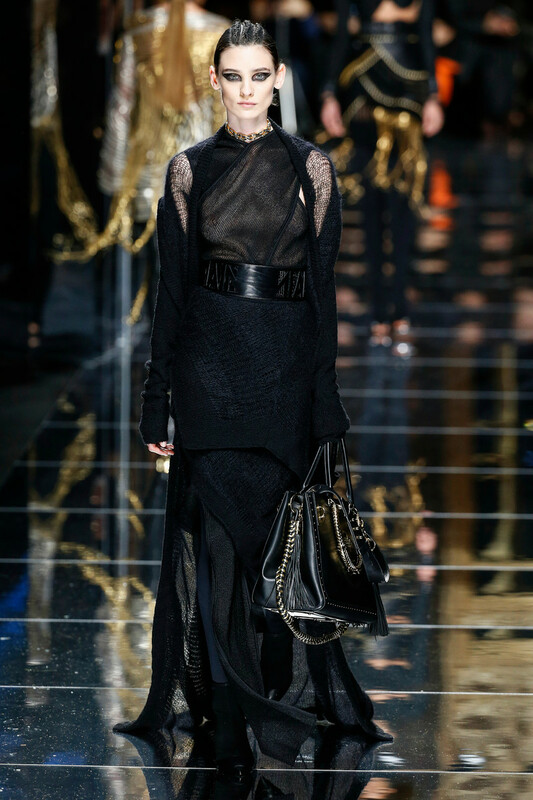 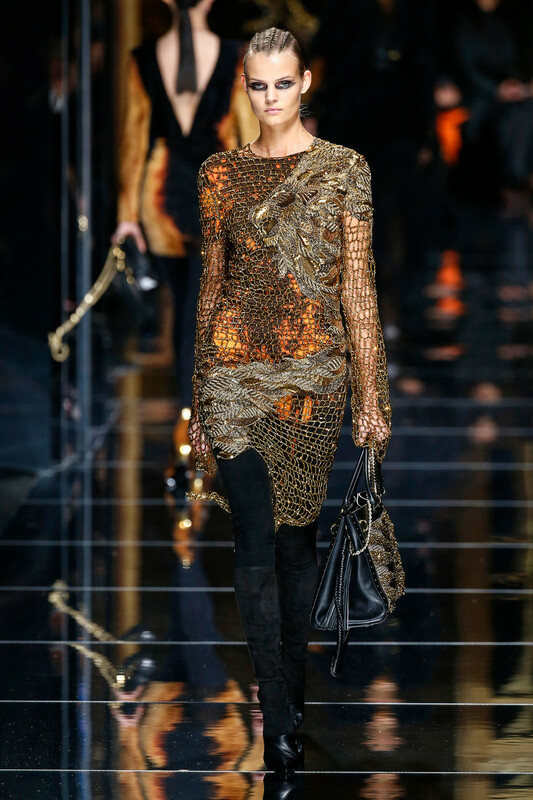 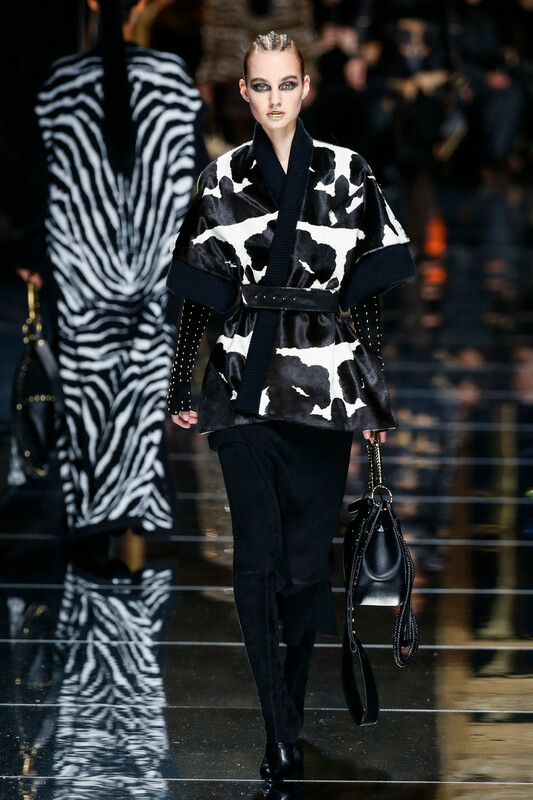 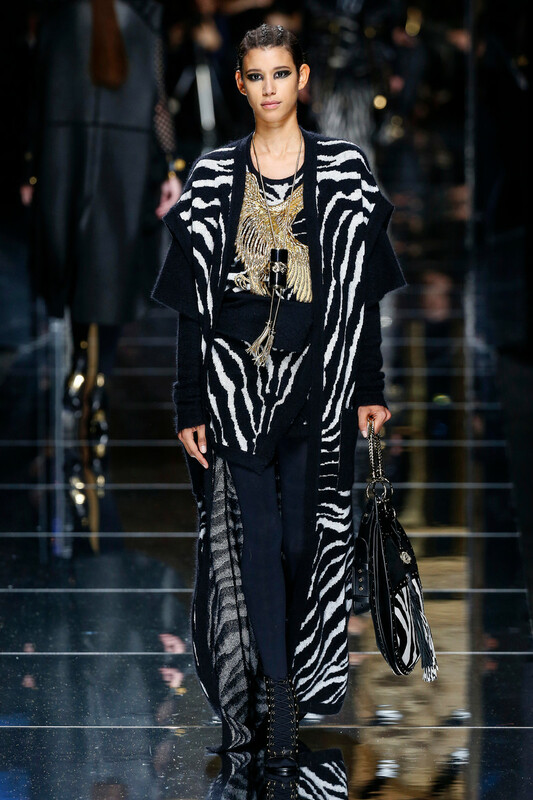 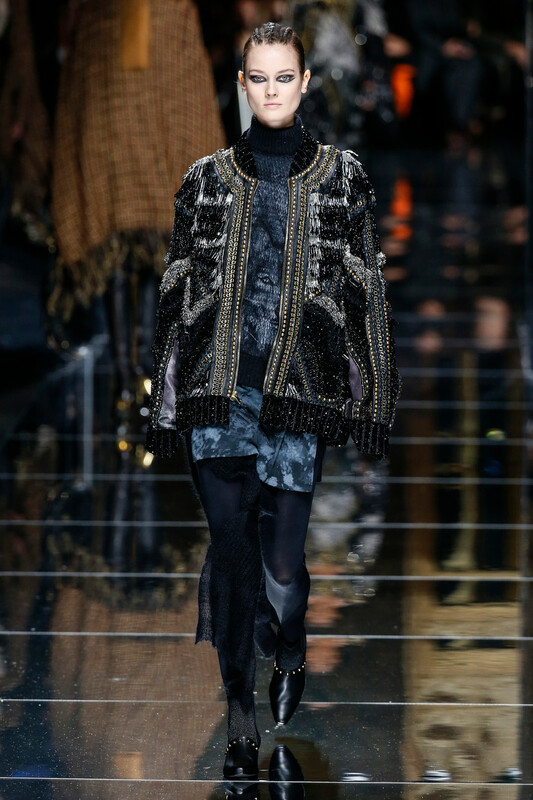 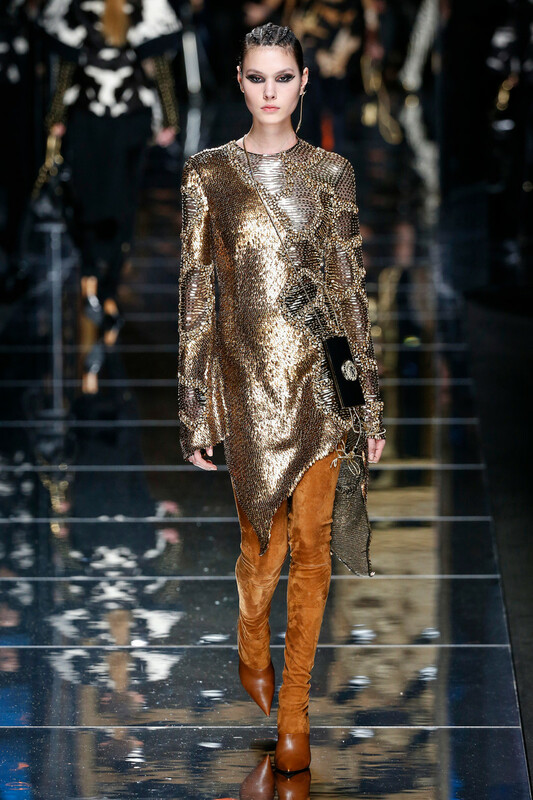 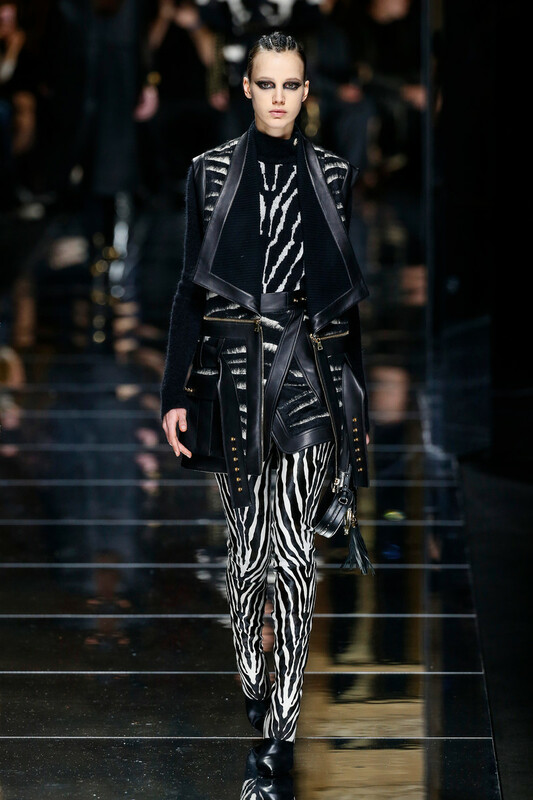 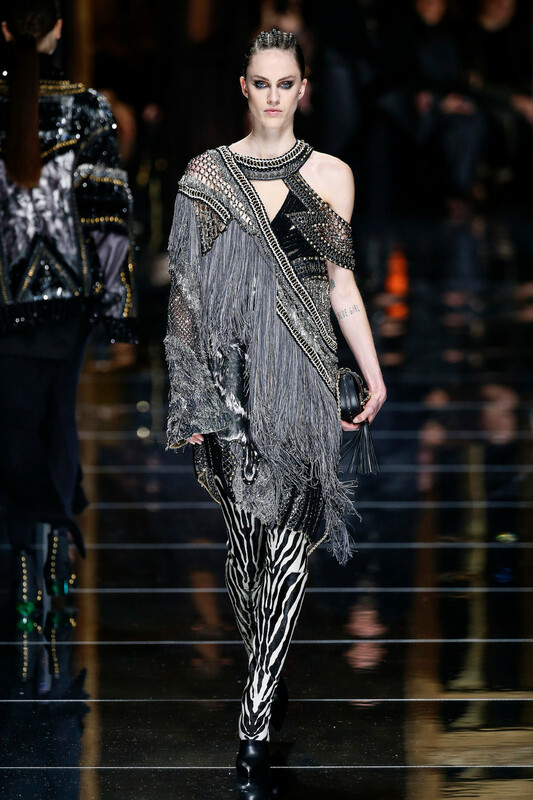 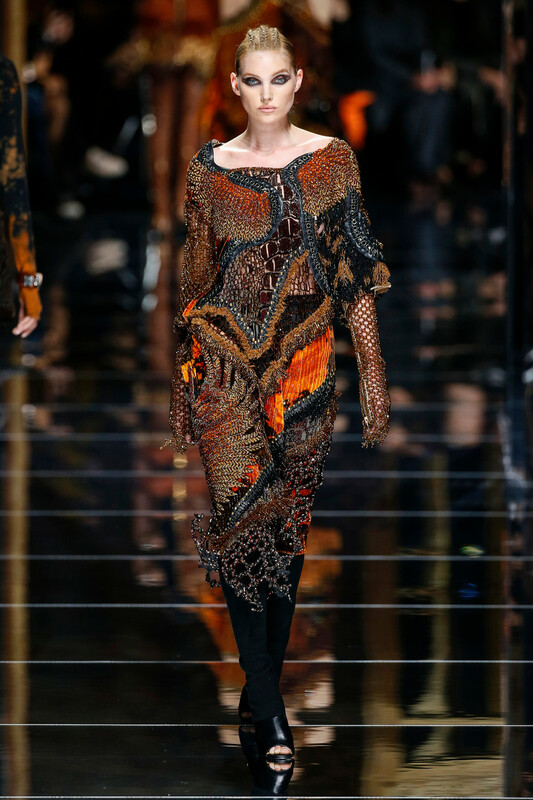 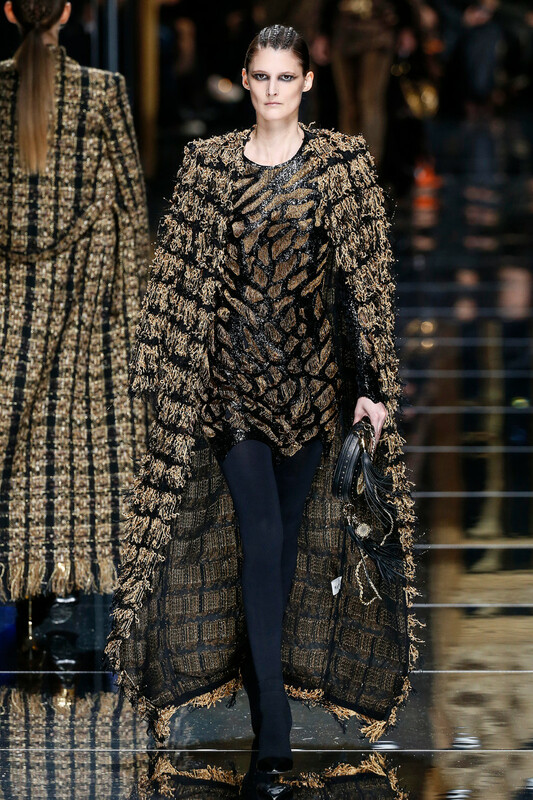 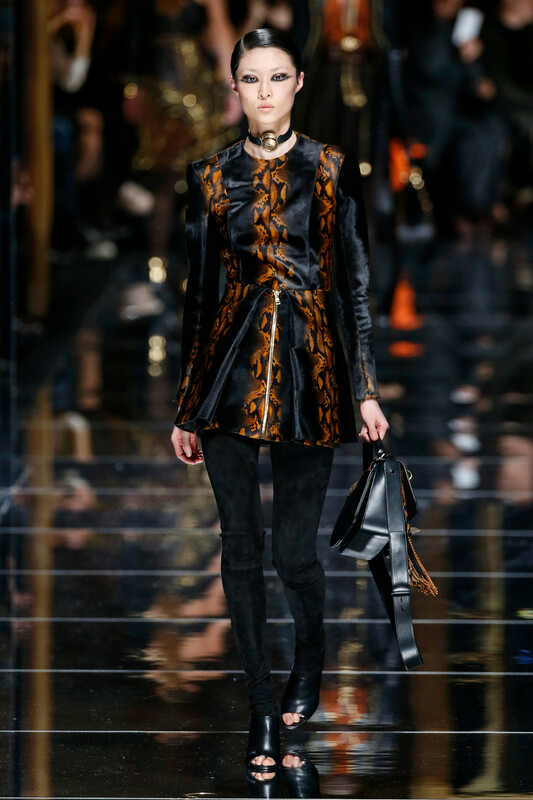 It’s very feminist,” Olivier Rousteing told WWD backstage. 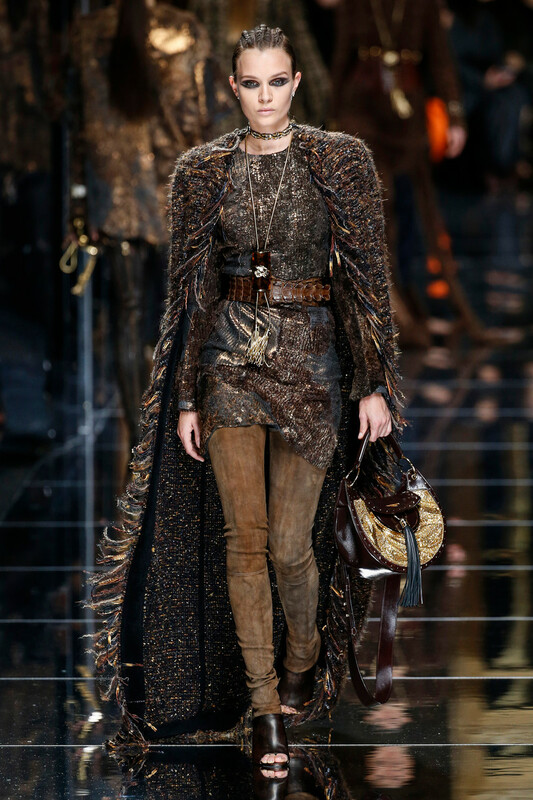 The wealth of craftsmanship and materials on display was impressive. 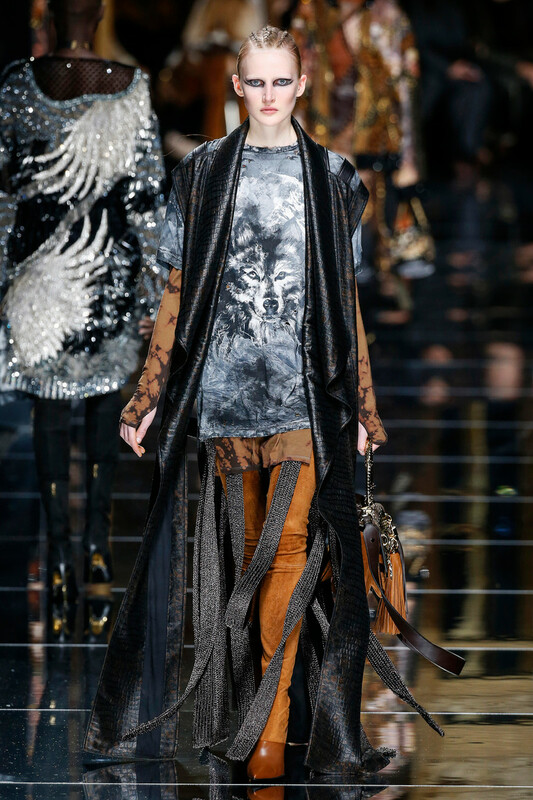 Rousteing is proud of the house’s historic ateliers, which turned out dresses and tunics in elaborate patchworks of crystal mesh, jacquard, leather appliqué, embroidery, velvet, fringe and metallic studs. 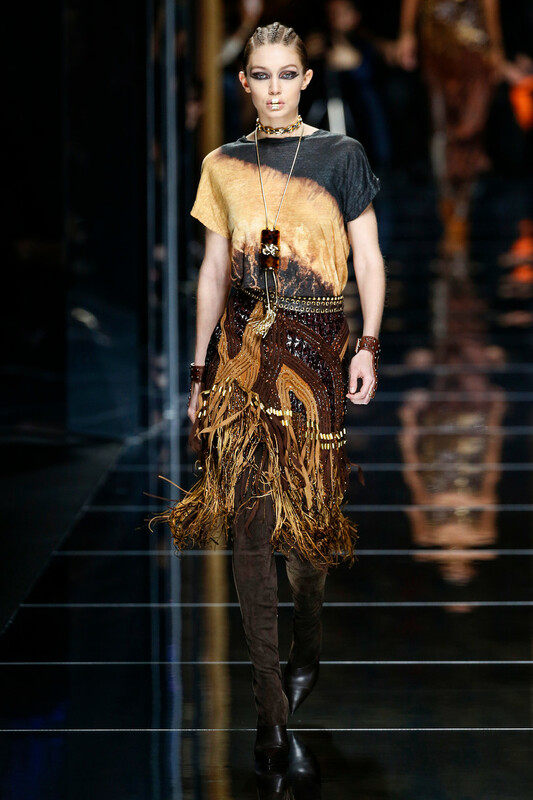 This was craft of the highest level. 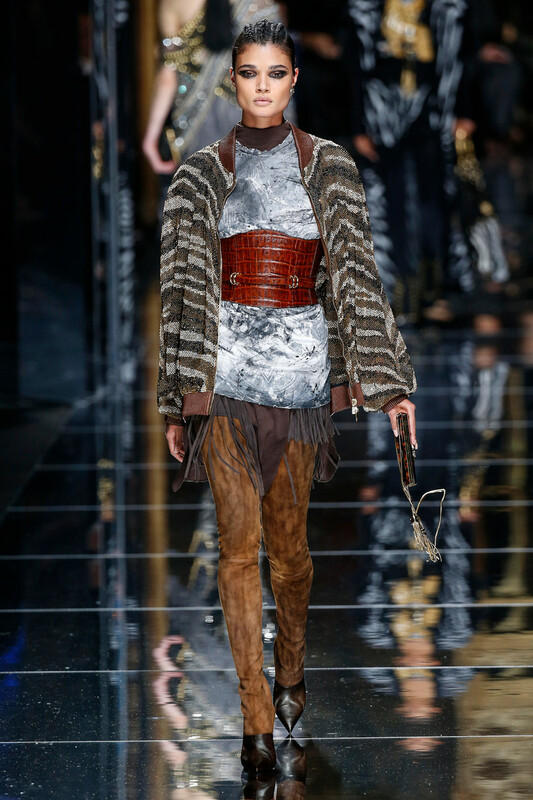 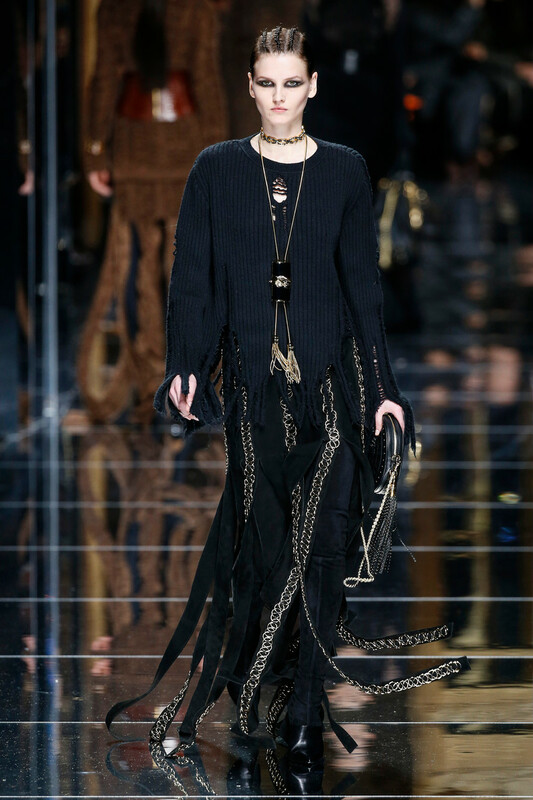 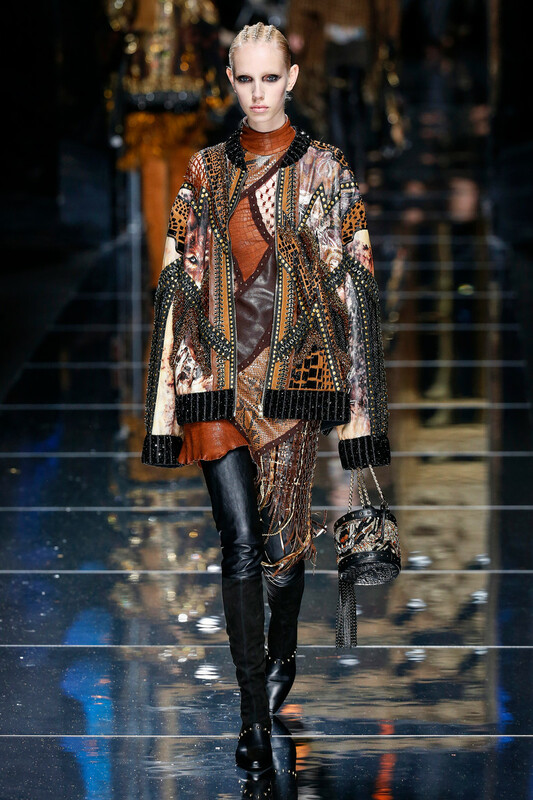 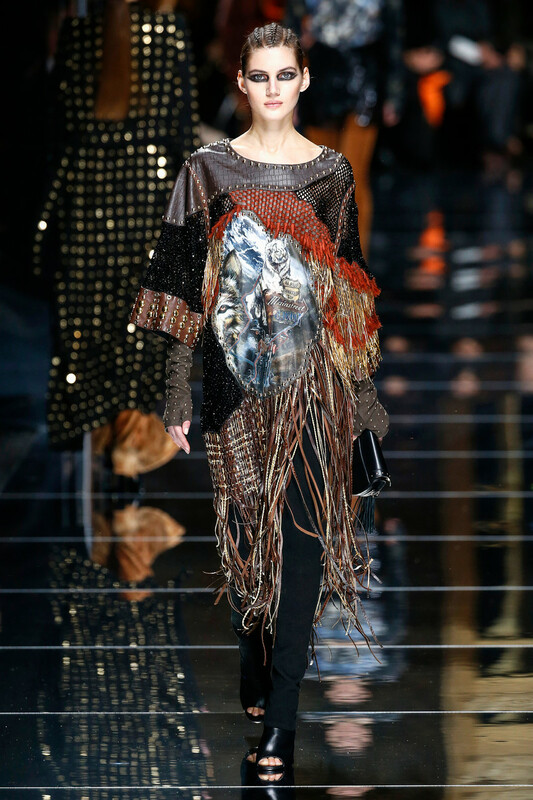 Rousteing diluted the impact of some dresses by adding panels depicting wolves, the wolf designsalso returned on T-shirts that anchored a boho rock star wardrobe of maxi cardigans, eyelet-studded leather and thigh-high boots.